Most parents nowadays try not to use physical punishment, which they know undermines kids’ self esteem. 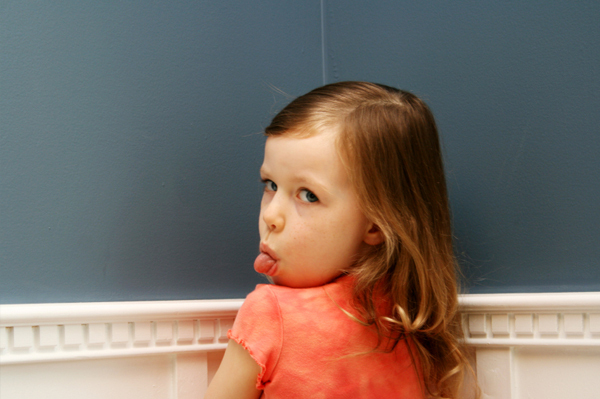 Many experts advise using timeouts to “calm” kids down and correct bad behavior. But any child can explain to you that timeouts are still punishment. And we all know that sending a kid to a timeout it is not the best way to calm him! What’s wrong with timeouts for disciplining kids? Nothing tragic. They’re infinitely better than hitting, and yelling. But Timeouts backfire if your goal is better-behaved children. Because you have to harden your heart to your child’s distress during the timeout, timeouts erode your empathy for your child. Yet your empathy for this struggling little person is the basis of your relationship with him, and is the most important factor in whether or not he behaves to begin with. So parents who use timeouts often find themselves on a cycle of escalating misbehavior. Timeouts backfire with toddlers because two and three year olds love to experience their sense of power and agency in the world, and timeouts teach them they can get a big reaction from you, so they repeat it. Research shows that ignoring the bad behavior is generally more effective in eliminating the behavior than negative reinforcement. If the behavior can’t be ignored, such as hitting, it is more effective to remove the child to his room to calm him, but to stay with him. Don’t call it a time out, and don’t leave him there alone. Calmly explain that if he hits, he can’t be with other kids, and that he needs to calm down. Again, an emotional reaction from you will provoke a repeat offense. Research shows that punishment is never as effective as positive discipline to encourage good behavior. But Timeouts are a terrific management technique – for yourself. When you find yourself losing it, take five. This keeps you from doing anything you’ll be sorry about later. It models wonderful self-management for your kids. And it ultimately makes your discipline more effective. Parents who use timeouts as threats are often shocked to learn that there are families who never hit, never use timeouts, rarely yell at or threaten their children – and have well-behaved kids! But you shouldn’t need to use these methods of discipline, and if you’re using them now, you’ll probably be quite relieved to hear that you can wean yourself away from them. A good relationship is your foundation; discipline doesn’t work without that. Make sure your child gets enough sleep. It’s harder to stay patient with a cranky kid. Sidestep power struggles. Give her as much control over her life as possible so she doesn’t need to rebel. Finally, when all else fails — as it often will, because we’re only human — fall back on your sense of humor. How? Don’t take it personally. Turn things into a game. Distract your child with jokes and riddles. Sit down on the floor and laugh until you cry at the absurdity of the whole thing. The truth is, when you’re in a good mood, and have a good relationship with your child, parenting gets a lot easier. And remember, this too shall pass.